During 2011 this site has published a wealth of online information. But we know that there is a great deal more out there. We therefore invite you to enter your own case study, charter, tool, project description, publication or whatever linked to the development of learning cities and regions. 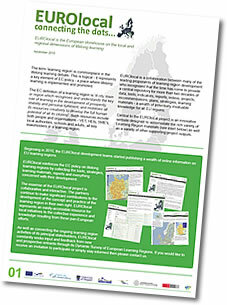 EUROlocal reinforces the EC policy on lifelong learning regions by collecting the tools, strategies, learning materials, reports and everything concerned with their development. 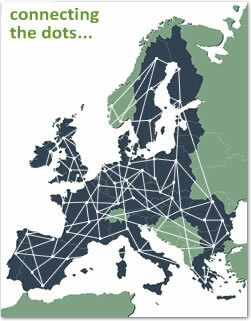 The essence of the EUROlocal project is collaborative and interactive. The partners continue to make significant contributions to the development of the concept and practice of the learning region in their own right. EUROlocal represents an easily-accessible resource for local initiatives to the collective experience and knowledge resulting from these pan-European efforts.